What’s the verdict: The first cinematic outing for comic’s longest running female character is also the first superhero movie to be directed by a woman. Plus, the most expensive movie to be directed by a woman. And, due to the DC Extended Universe’s sub-par offerings thus far, a film that finds itself carrying the fate of the DCEU on its Amazonian shoulders. No pressure then…. But, we can sigh with relief; Wonder Woman is a good film – in parts a great one. One of its strengths is how little it suffers from the Sturm und Drang that seems to be the default tone for DC’s current big screen output. 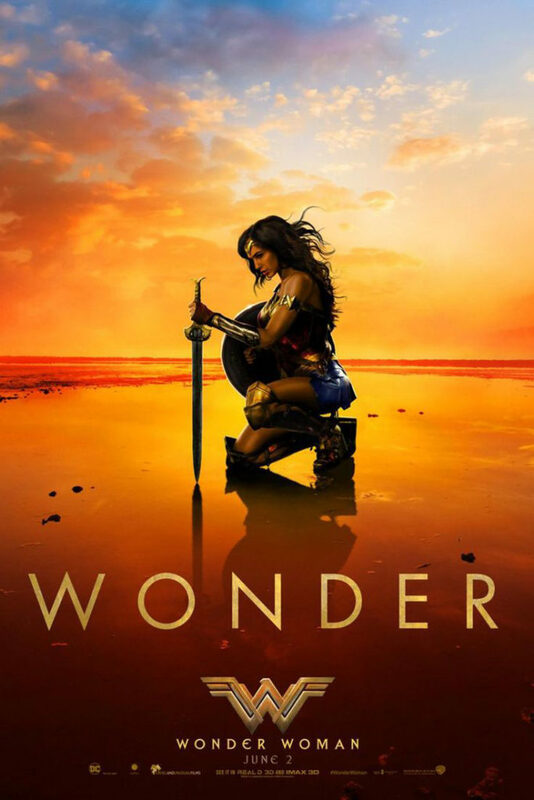 Wisely taking inspiration from 1978’s Superman: The Movie (and Disney Princess films such as Brave), Wonder Woman is bright of colour palette and as big hearted and optimistic as the titular hero. Director Jenkins (who directed Charlize Theron to a Best Actress Oscar for 2003’s Monster) allows space for character and emotion in a way the leaden Batman v Superman or the ADD Suicide Squad could not. Jenkins and screenwriter Heinberg dedicate the first act to Diana’s life on the female only island paradise of Themyscira. We’re now at the point where even origin stories’ tropes have tropes, but this opening feels fresh because of the time spent with these characters. Raised from childhood to be wise and loving by her mother Queen Hippolyta (Nielsen) and a formidable warrior by her aunt Antiope (Wright), these scenes of Diana’s early years vibrate with life (and provide a handy Spark Notes guide to Roman mythology). With emotionally rich, playful performances from both Nielsen and Wright, we’d happily watch a prequel focussing on the two sisters, impressive, regal warriors beholden to no-one but themselves. The outside world comes knocking in the form of Steve Trevor (Pine), an American spy for British intelligence, shot down over Themyscira air space. Pursuing German forces bring the full horror of World War I to the shores of the island in a tremendous action sequence pitched between Crouching Tiger, Hidden Dragon and Captain America: The First Avenger. One of the biggest surprises is how well Jenkins directs the set pieces. Easily the equal of anything on show in Marvel’s back catalogue, her action has clarity and excitement too long absent from the DCEU. Convinced she must join the fight to end total War, Diana journeys with the American agent on a mission to the Front. Pine’s war cynical, world weary, but brave and resolute Steve is the perfect balance for Gadot’s naïve, idealistic but purposeful Diana. Real warmth glows between them, partly due to amusing exchanges on male/female relationships, partly because Gadot and Pine’s chemistry crackles on screen. After fish-out-of-water fun in a well-realised 1918 London, involving a shopping trip and smashing the glass ceiling of the crusty British elite, it is to the Front with Diana, Steve and his ragtag team, including Ewan Bremner’s shell-shocked Charlie and Said Taghmaoui’s resourceful Sameer. Here we have contender for best action scene of 2017. 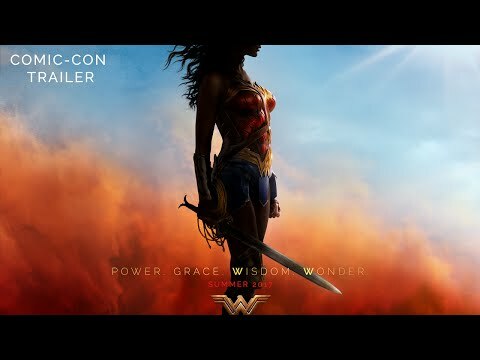 Wonder Woman is revealed in full regalia, Lasso of Truth, Bracelets of Submission, Shield and God Killer Sword, as she cuts a path through No Man’s Land (so called because no man can cross it…). Stirring, emotional and thrilling, this centrepiece captures the character’s idealism and goodness in a way DC fails to do with Superman: audience and hero herself realise simultaneously just how powerful a figure she is. In full fight Wonder Woman is balletic, fierce, and graceful. Watching her make things go smash with that pounding theme punctuating each hammer blow will leave jaws dropped and hearts pounding. Look at the expression on the face of every woman and little girl in the cinema for example of what we mean. We’re not sure if Gadot is a brilliant actress underused in those Fast & Furious films or just a perfect fit for the role, but she is the film’s biggest asset. Shame then the film suffers the modern superhero malaise of third act stumbles. Disappointingly, the climax is set at night when daylight action would have worked better, and an over-reliance on CGI fisticuffs is formulaic after the earlier battlefield knockout. Despite potential with Elena Anaya’s Dr Poison, her villain is an underdeveloped let down. Danny Huston as the cackling General Ludendorff is too much ham in what is a plot machination rather than a role. Another villain we won’t spoil here is interesting in theory but the execution doesn’t land. None of this diminishes how enjoyable it all is but they stop Wonder Woman being a five-star classic. Climax quibbles aside, given the state of the world, having a movie about a hero who takes action in the face of adversity, never gives up, chooses love over rage, believes humanity is worth saving even when, especially when, we don’t deserve it is exactly what we need right now.